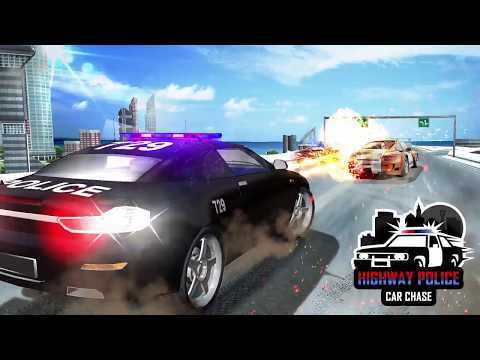 Highway Police Chase is a realistic car chase challenge & an addition to the Google Play Games for all. Experience the Fast Car Rush Highway Chase Racing Speed Ticket in this Police Car Games 2018 Police Chase Thief Pursuit. This Police limo chase is all about Highway Police Car Driving games in the best of US Police Car Racing Rush Knock Down Speed Ticket Burnout Car games with best features of Police pursuits car chase challenge car driving chase on Google Play Top Android Games for kids You will forget all other Police Car Games 3D & Police Chase Games after playing Drift Car Chase Grand Highway Racing Car driving chase top featured games on google play games. Fasten your seat belt to play the most anticipated best endless car racing game Speed Car Games Police Chase Thief Pursuit Car Driving Chase in Grand 3D environment. Get into the thrill of auto & vehicles fast police car games for kids with the simulation experience of car driving games 2018. Your duty as a US Police Officer is to keep the city roads, highway & freeway an extreme car driving safe place by chasing down, take down, knock down & thief pursuit the most wanted criminals and street racing robbers in Car Chase games 2018 featured endless racing game on Google Play games for all. Police Cop Car driving chase is a free Highway Racing Cop Chase Police Car games 3D limo chase. Become a police car racer, get in your cop car, crime chase thief pursuit & shoot the enemies and destroy them. Earn points & coins to buy speed cars & faster police cars with more powerful attack in chor police chase game for kids. 	Challenging Police Car Racing Car Driving Chase missions extreme time limit. 	Freeway Grand Chase Rush Racing Chore Police Games with Realistic HD graphics and engaging sound effects.